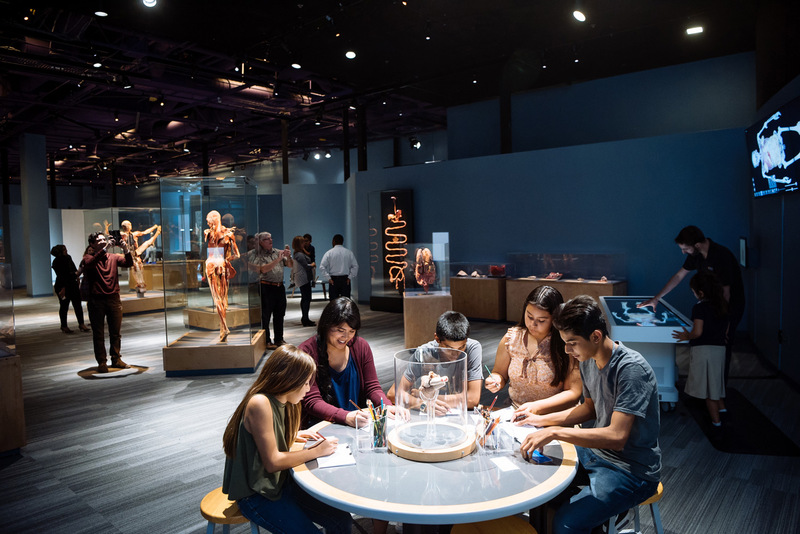 The Body Worlds exhibition, which visualizes parts of the human body in education and intriguing ways, is “augmenting” its next iteration with augmented reality technology to take visitors deeper inside the body than ever before. Interactive 3D models of different organs and limbs let visitors virtually dissect a body, letting them choose what they look at and how it’s presented. The exhibition is called Body Worlds Decoded and it builds off of the traditional exhibition’s “plastinated” models to add a “Silicon Valley twist.” Using Lenovo Phab 2 Pro tablets and a custom augmented reality system built on top of Google’s Tango platform, visitors can have a much more interactive exhibition than their predecessors. Called Iris, the system offers 3D exhibits including an eyeball, digestive tract, skull, and heart, with plans for new 3D models and animations throughout the exhibits in the future. Body Works Decoded will act as somewhat of an augmented reality test bed, to see how teachers, students, and the general public respond to the new augmented reality features. Alongside the new augmented reality features, Body Worlds Decoded also includes traditional full body plastinates of more than 60 different specimens, giving visitors a detailed look at the various parts of the human body. They’re joined by a new 3D dissection based on Anatomage’s medical imaging. Visitors can take part in that dissection, helping to break down the human form into its various components and giving an interactive look at some of its most important functions. The Body Worlds Decoded exhibition opened at The Tech Museum of Innovation and is booked in for an unprecedented 10-year run. While it will no doubt change a lot over that time, it does at least mean anyone excited to visit should be able to go. There’s no real time limit on this one. Tickets are priced at $24 for general admission and you gain access to the Body Worlds Decoded exhibit as part of it.